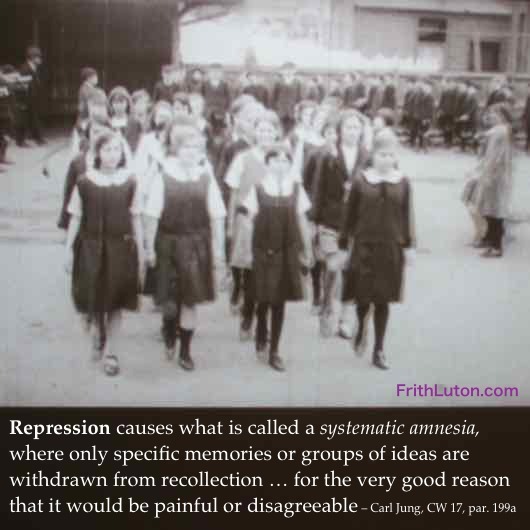 Repression. The unconscious suppression of psychic contents that are incompatible with the attitude of consciousness. Repression is not only a factor in the etiology of many neuroses, it also determines contents of the personal shadow, since the ego generally represses material that would disturb its peace of mind. Many repressed contents come to the surface naturally during the analytic process. Where there are strong resistances to uncovering repressed material, Jung believed these should always be respected lest the ego be overwhelmed.